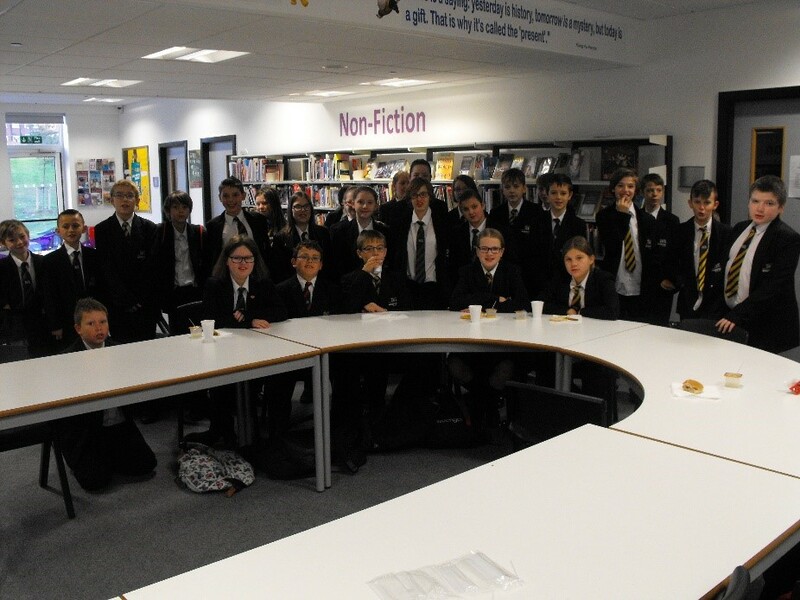 Our reading champions enjoyed a celebratory breakfast in the Library on Friday morning before School, tucking in to bacon and sausage batches, toast, tea and orange juice. All students had achieved the Silver and Gold Accelerated Reader award last half term, reading and passing quizzes on over four books at their book level. Fifty four students in year 7, 8 and 9 achieved the Silver and Gold award, receiving a certificate and chocolate bar in their year Assembly, in addition to their breakfast invite. Gold award winners who have passed over ten quizzes at their level for Accelerated Reader will also achieve a special book in Assembly in recognition of their achievements.